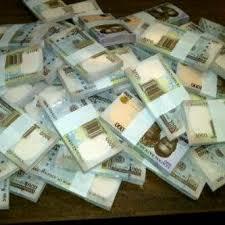 Becoming a wealthy person in Nigeria, could be something unrealistic to some people but it is possible to be rich. When you follow the right path of success, you are sure to becoming a rich Nigerian with influence and power. When you are wealthy you just have the abundance of valuable resources or valuable material possessions, some Nigerian feel that being wealthy means that you must have rich parents, who were politicians, big CEOs and executives or one famous monarch, but the question we should ask is, how did they become wealthy ? That’s all what I am going to be discussing here, as I walk you through the steps on how to make wealth in Nigeria. I am going to categorize the topic on how to become a wealthy Nigerian into online ways of becoming a wealthy Nigerian and also offline ways of becoming a wealthy Nigerian. You can become a rich Nigerian online by becoming a blogger, for basic understanding, a blogger is a person who owns and manages a blog and a blog is an online journal or website that contains frequently published content. If you want to be very wealthy in Nigeria, dedicating your time and efforts into becoming a blogger would be good as there are many fantastic benefits attached to becoming a successful blogger. You must have heard of many successful bloggers like Linda Ikeji, Uche Pedro, Jide Ogunsanya, Japheth Omajuwa and many others who are earning huge being Nigerian bloggers, so it’s never too late to start a blog and begin publishing content. All you need in a computer system and internet access and on your own part you need to publish original content and dedicate you time and effort towards it. So if you want to become a wealthy Nigerian online then being a blogger is a good idea. Did you know becoming a vlogger can make you rich ? Ask a Nigerian musician. Becoming a vlogger means that you produce videos of high quality and displaying it on your YouTube Channel or your video blog . 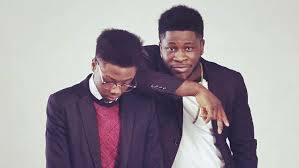 Many creative Nigerians have stepped up their game by uploading their videos into a video platform like YouTube and when they have good followership and views big brands would like to advertise their product or service on their content. YouTube also displays ads on your content and you get paid per view. You too can become a wealthy Nigerian by becoming a vlogger. When I say create an online platform, I mean you can create a web-based application, something that can be accessed by the web. See how Mark Zuckerberg created Facebook, a social media platform where users share their stories and information and today he is one of the youngest billionaires in the world. There are also Nigerians who have created online platforms and re rich. We see Seun Osewa, the founder of popular Nigerian online forum Nairaland, it’s a forum where Nigerians share ideas and ask questions, the forum has gained grounds and today Seun osewa is making money from Nairaland through sponsored listing and adverts. There are other online platforms developed and designed by Nigerians which are beginning to be successful, we see online shopping platforms like Jumia, Konga, Jiji.ng and others, many other online platforms are still being developed by Nigerian. If you are a coder then I guess, you should be creative enough to think of what people really need and provide a solution to their problem by developing an online platform. Did you know you can actually be wealthy being a digital marketer? By using your analytical and tactical skills to grow and develop new opportunities for businesses, you can earn huge and become successful due to the fact that once it works for company A, company B would search for you to work with them and they would even be willing to pay higher to hire you. You can become a successful digital marketer in Nigeria by doing what you are supposed to do. Now you have successfully taken a look at four ways o which you could become a wealthy Nigerian online, we are now heading to the offline ways to be wealthy. So if you have an ambition of becoming wealthy though online means in Nigeria, then I recommend that you opt-into the above means stated above and it would really help you in the long run. Now let’s face it on how to become a wealthy Nigerian through “offline” means. Making the right decisions in life is what makes people to be easily rich or wealthy. So you have to sit down and think of what you can do to be useful and impact the lives of others before you can become a wealthy Nigerian. Settling down to set up a business that would be successful and have room for expansion is one of the best ways of becoming a wealthy Nigerian. This is really obvious, because top Nigerian billionaires like Aliko Dangote, Femi Otedola, Folorunsho Alakija and many others had businesses that made them wealthy. So you too can become rich by setting up a business, it may be funny tht many Nigerians are looking for spiritual ways of making money but that’s not necessary as it can be possible by setting up a standard business. When I say become a politician, I don’t mean being a fraudster because it wouldn’t help. Becoming a politician that cares for the people can make you to be wealthy, because people would always endorse you for anything you want to go for and you would float on wealth and power. All you need to do is to be loyal and when you get up there have the people in mind and you would be successful. Pursuing your dreams can make you to be wealthy in Nigeria, because that’s what you are passionate about. People who narrowed down their expertise and pursued what they really could do are succeeding today. So if you can sing, pursue your musical career, if you can code pursue your coding career, doing what you are good at can make you get rich easily. How does buying stocks relate to how you can become a wealthy Nigerian? Stock is an equity investment and when you buy stocks it means you have a part ownership of the company you bought the stock from, that gives you the right to get gain depending on the number of shares you own compared to the total number available. So you can be a wealthy Nigerian by buying stocks from companies you believe will make money. 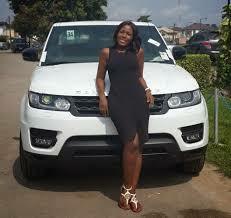 Now we are true with the ways on how to become wealthy as a Nigerian (offline). We now have to look at the attributes of a person who wants to be wealthy. For you to be a wealthy Nigerian, you have to be hard-working, with a population of over 170 million people, it’s going to very competitive in your quest to becoming wealthy. It’s only a few hardworking Nigerians that are enjoying wealth, so you need to work hard in order for you to become wealthy. There’s a popular saying that goes “A penny saved, is a penny earned” This is simple, save money and you have more money from the money you have saved. After all, a wealthy man is a man who has more money to save, you have to cultivate the habit of saving if you want to become a wealthy Nigerian. So, when you have the mindset of saving you can easily become a millionaire or billionaire in Nigeria. You have to be positive in anything you are doing, in order to achieve success. You have to think like a millionaire in order to be a millionaire, you have to think like a billionaire in order to be a billionaire. Your mind has to be filled with positive thought in order to produce positive results. So you have to be positive to become a wealthy Nigerian. You don’t have to be envious of other people’s success before you become wealthy, admire them and aim to be like them. Like you would hear many Nigerian children saying they want to be as wealthy as Dangote. So you should admire wealth and have a mindset that you are ready to succeed. When you invest in the lives of people they would in turn enrich you, haven’t you heard of how parents invested in their children and now their children are now taking good care of them ? Investing in the lives of people can make you to be a wealthy Nigerian as it would open opportunities that would make you succeed. How do you intend to be wealthy when you cannot even settle someone that you are owing ? It’s not possible. You have to reduce the rate at which you are indebted to people, so that you can strategize your income well and know how to fix things up in order for you to succeed. The truth is that, even if you had made all your plans to become wealthy in Nigeria and you have to ay prayers to god to help you achieve your plans, so that it can last long, because you need a spiritual back up in order for you to become a successful person in life. Many people seek alternative (dark) ways of becoming rich but wise people know that it’s through God that their wealth can last long. So if you want to become a wealthy Nigerian then you have to be prayerful. Now we just took a look at characters needed in order to wealthy in Nigeria, let’s take a look at some 10 richest people in Nigeria, so it wouldn’t seem as if there are no wealthy people in Nigeria. He is 66 years old and is into the oil sector. 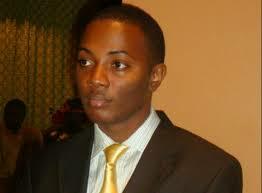 He is the Chairman and Founder of Oriental Energy Resources Limited. His net worth is $670 million. 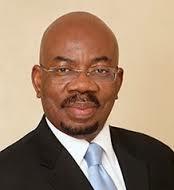 He is 61 years old and he is the Founder of Zenith Bank Plc. 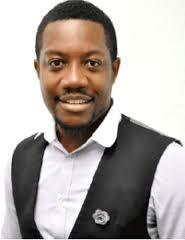 He is also into real estate investment in Nigeria. His net worth is $850 million. 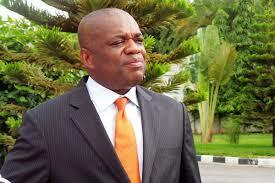 He is 55 years of age and he was the governor of Abia State between May 1999-May 2007. 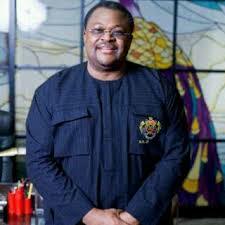 He is the Chairman of Slok Holdings, New Telegraph newspaper and Daily Sun. His net worth is $1 billion. He is 52 years old and he holds a National Honours, Commander of the Order of Nigeria (CON). 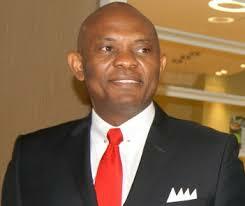 Tony Elumelu is the Chairman of heirs Holdings, UBA and Transcorp hotel. His net worth is $1 billion. 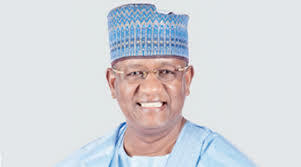 He is the Chairman of the BUA group that majors in cement, sugar and flour. He is also the Chairman of the Bank of industry. His net worth is $1 billion. 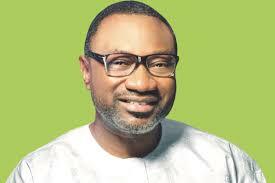 He is 52 years old and the Chairman of Forte Oil Plc, he is also the CEO of Zenon Petroleum and Gas Limited. His net worth is $1.06 billion. The only female in this list. She is 64 years old and is the managing Director of The Rose of Sharon Group, The Rose of Sharon Prints & Promotions Limited and Digital Reality Prints limited. 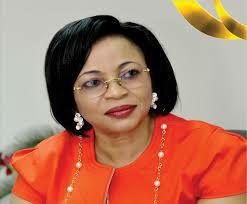 She is also the vice chairman of Famfa Oil Limited. Her net worth is 42.2 billion. 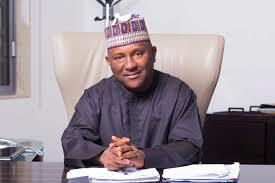 He is 62 years of age and he is the founder of Globalcom, one of Nigeria’s leading telecommunication operator, he is the Chairman of Conoil plc and owns stakes in Equitorial trust Bank. His net worth is $4.1 billion. 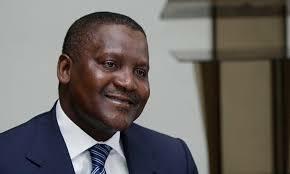 He is 59 years of age and he is the Chairman and CEO of Dangote Group. 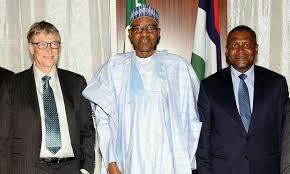 The Dangote group operates in Nigeria, Benin, Cameroun, Togo, Zambia, Ghana and South Africa. His net worth is $12.9 billion. So Dangote is the richest man in Nigeria and also in Africa. This is the list of some wealthy people in Nigeria, they should be an inspiration to you, that you can succeed like them and become wealthy. So I believe that with thi guide, I have being able to walk you through the ways in which you can become a wealthy Nigerian, just try them out and it would work for you.